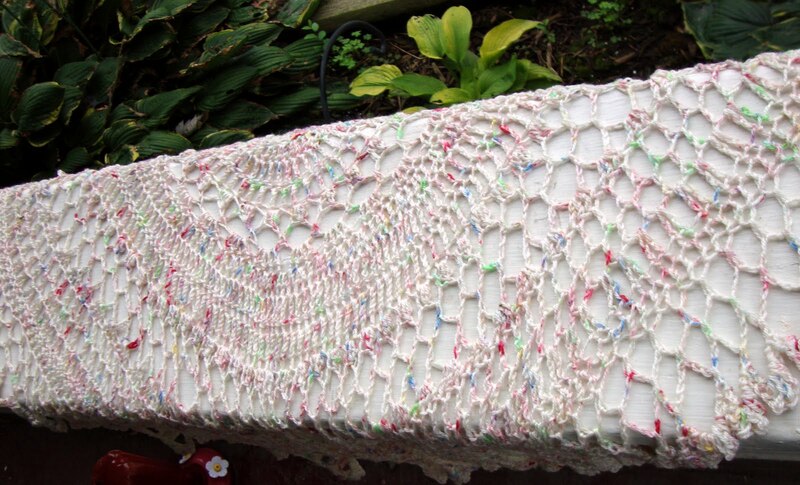 I would like to tell you that I have absolutely NO TIME to blog because it’s all fiber craft all the time – but I would be totally fibbing to you and I am a terrible liar. I will tell you I spend 90% of my non-day-job time making stuffs for NGY, managing the boring business side of NGY, plotting new awesomeness for NGY and other random NGY things so you would think I could squeeze a little blog post in there every now and again, yeah? So here is what I have neglected to blog about for the last 2 months that will be in a series of a couple – maybe even three – blog posts. 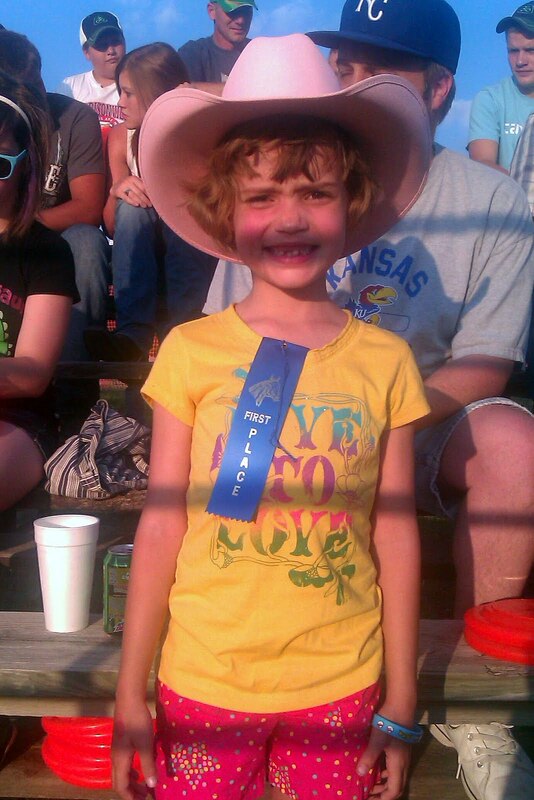 Little E won 1st place at the rodeo for mutton busting – check her out showing off her ribbon. HELLS YEAH! I am *still* not done with my Doctor Donna Heron. It’s pretty stalled right now. I currently have 5 boring WIPs I have been ignoring so I have moved over to working on some of the oldest now that I have finished a couple of interlude projects. Interlude projects? You know, those quick crafts that make you feel better about your inability to finish anything. Interlude item 1: Worsted random on the fly ribbed sock done in Always Remember the Rules yarn from V Yarn. I have eleventy million other pairs of worsted socks still to make before winter comes but ONE PAIR IS DONE! 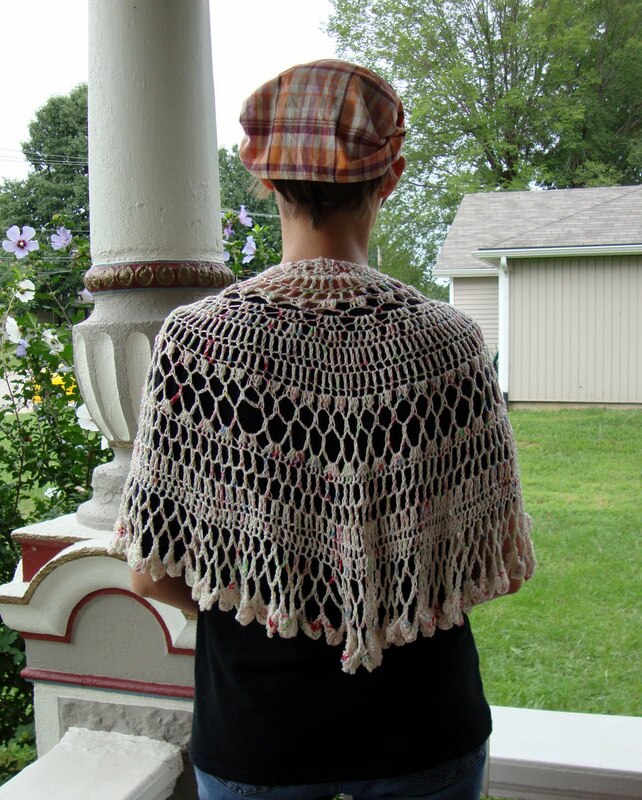 Interlude item 2: Summer Twilight Shawlette (Crochet) – Funfetti yarn from Schmutzerella Yarns. It would be more fibs to say those are my ONLY interlude projects but it’s true that they are my only substantial ones. Still to come (in part 2 and maybe part 3) I shall tell you about my experimentation with cottons and dyes, some other really awesome stuff that I can’t remember right now, the spinning I have accomplished, new stuff and happenings in the shop, my WIPs of doom, and all about how I got to go see Fright Night this past Saturday.